Woman And Dog Running And Exercising Outdoor At Grass Field On.. Stock Photo, Picture And Royalty Free Image. Image 38786391. 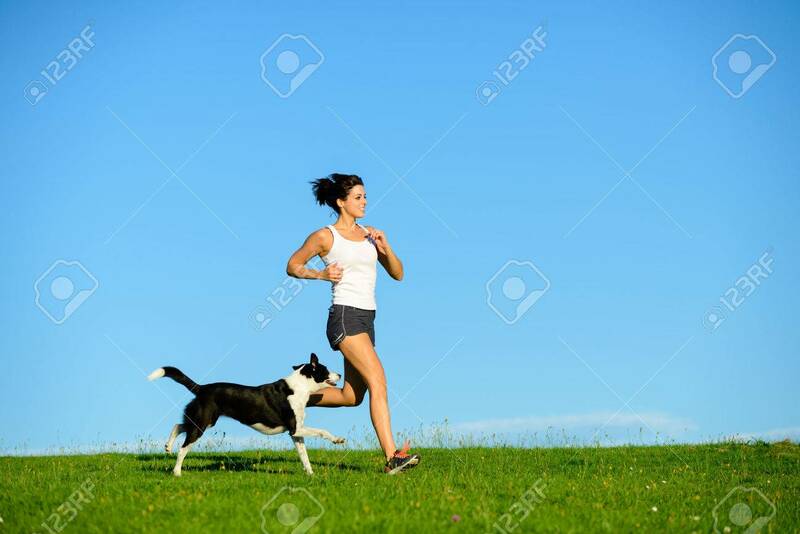 Stock Photo - Woman and dog running and exercising outdoor at grass field on summer or spring. Happy female athlete training with her pet. Woman and dog running and exercising outdoor at grass field on summer or spring. Happy female athlete training with her pet.